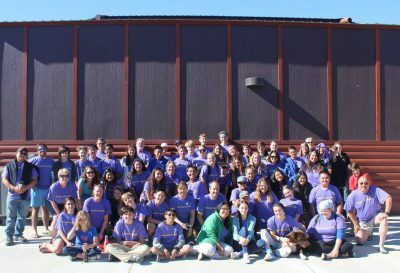 Youth ministries at Castro Valley UMC are for middle and high school-aged youth. Our goal is to be a place where youth come and feel comfortable without the pressures of the world to share their joys and concerns. We meet Sundays during the school year from 11:30 am until 1:00 pm. Youth ministries is one of the greatest ways to grow one’s faith is to actively engage with the world and help to bring about God’s kingdom in the world today. Throughout their daily lives, we encourage youth to be aware of where God is at work in the world, take off their “cool jackets”, and join in that work. Castro Valley UMC offers many opportunities for youth to serve. They are active with various local mission opportunities by helping out with Castro Valley’s social service based ministries including Food2Go. The youth also participate in domestic and international ministries including Sierra Service Project, Imagine No Malaria, and World Vision’s 30 Hour Famine. Castro Valley UMC also offers many opportunities for youth to have fun in Christian fellowship. They participate in Christian youth conferences, Christian music concerts, and trips to the beach and mountains.